In my perusing for new recipes (thanks to Sparks in the new Google+! ), I've found some great foodie blogs. Here's a recipe from Heat Oven to 350. They have some really yummy stuff over there. Best of all, is when I find a new recipe to try and have ALL of the ingredients on hand. This is one of them. 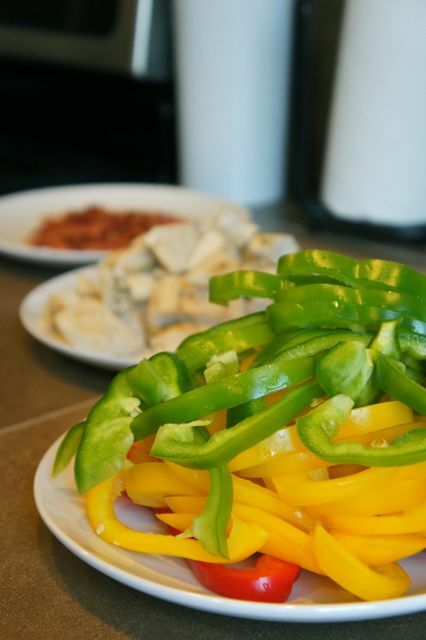 Rather than stuffing the peppers, you slice them and throw them into the rice mixture at the end of cooking. Anything with color is way more exciting to eat. 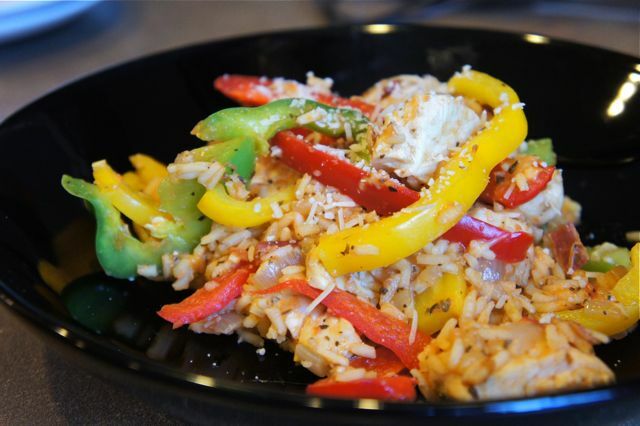 It has a great flavor between the bay leaf, parmesan, brown sugar, bacon, and crushed red pepper. It goes all over the place and pleases your whole pallet. Here's the last ingredients waiting for the rice. 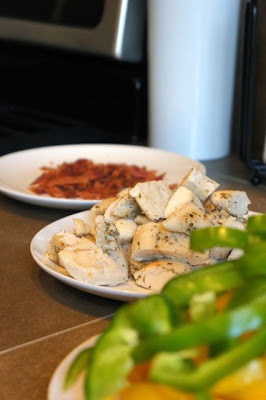 Crumbled bacon, seasoned chicken (my favorite seasonings: salt, pepper, garlic powder, onion powder, and oregano...delish! ), and colored peppers.